Welcome to the final Together Retro of 2012! In a first for the club, we will be playing a bullet-hell shmup, so get your reflexes warmed up and get ready to experience the terrific and terrifying 1997 classic DoDonPachi. 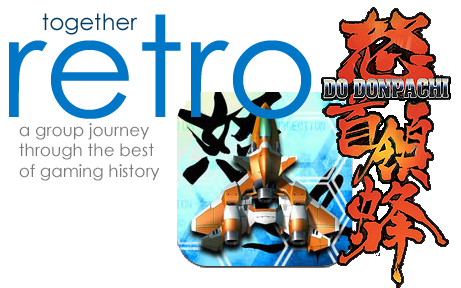 DoDonPachi is the second game in shmup developer Cave’s DonPachi series and one that, perhaps more than any single title in their catalog, has come to define the developer and shape their trajectory as the current juggernaut of the genre. DoDonPachi features three ships for the player to choose from, each of which has two settings for fire rate/width that can also be selected. Once these choices are made, players initially traverse six stages where their ship fights an army of largely mecha-based and mecha-insect-based enemies. If they clear this initial loop, they enter the second loop which features the same six stages (at harder difficulty) with a final seventh stage where players get a chance to take down the game’s true boss, Hachi (a large mecha-bee). 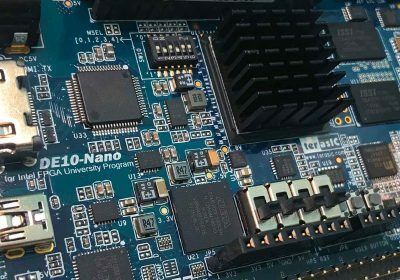 Clearing the first loop on one credit takes substantial effort, but clearing the second on that same credit and competing for the highest scores requires lots of practice and finely honed skills. 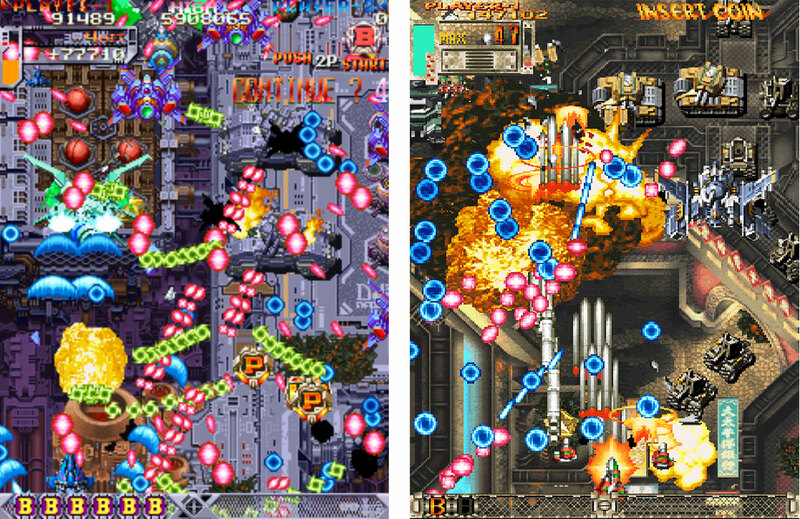 In addition to being playable in its original PCB (which was long ago ported expertly to MAME), DoDonPachi was also ported to both the Sega Saturn and Sony PlayStation in Japan. The games are very import-friendly if your hardware can run them (the vast majority of the text is in English), though some debate exists about which port is preferred (this very site has run a few articles suggesting the PS1 version is better than the the Saturn version though even the Saturn port is decent). The PS1 port is available via the Japanese PSN. 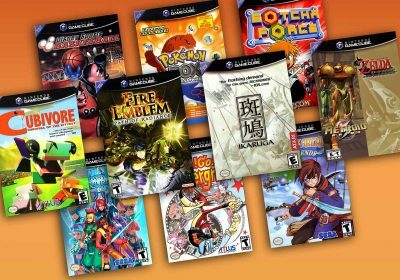 Read up a bit before choosing a port, but be aware most competitive play in online forums tends to favor MAME. Controls here are basic. Move with the joystick (or d-pad), button 1 can be tapped for rapid shot or held for laser, button 2 is bomb. Play with this a bit in your first few runs to get the feel for it, as figuring out a shot/laser balance and reserving bombs is key to success in the game. The basic scoring strategy is to chain together hits on enemies by not allowing time to lapse between hits (there’s a chain meter on the right hand side of the screen indicating this). The game also offers hidden bees that can be scooped up and chained for points, a hidden extra life, and other gimmicks that can improve score. There’s a very detailed strategy guide available here that’s written in a very easy to understand, very newbie-friendly fashion. Read it, learn it, and good luck! DoDonPachi, a direct sequel to the 1995 DonPachi, itself has a direct sequel (DoDonPachi II) that, oddly, was not developed by Cave. It’s worth a look. Otherwise, if you want to see what Cave did with the series, you should check out DoDonPachi Dai-Ou-Jou (2002), DoDonPachi Dai-Fukkatsu (2008), or the recently released (in arcades) DoDonPachi SaiDaiOuJou (2012). 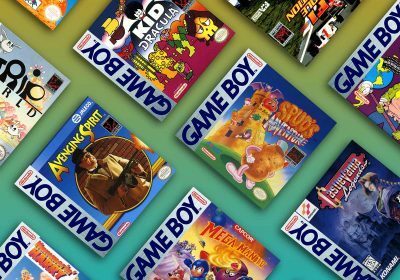 Each of these games has a number of variations and ports, including those to modern consoles and smartphones. hey im trying to expand my DC library and i cant figure out how to burn iso files, when i do burn them they wont play. 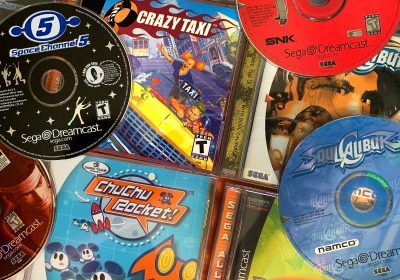 just wondering if you sold any burned dreamcast games that do work, i’d pay up to 3 dollars a disc, let me know soon please. William, you need self-bootable cdi files and not regular isos. 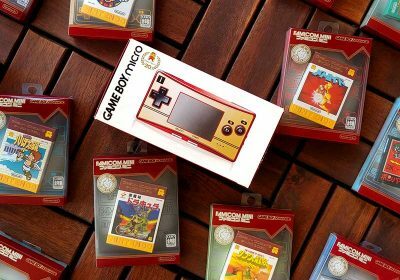 This will be my first Together Retro. This game has me excited enough to join in. AND … I’m excited to play! A couple small notes, in case anyone’s interested: reaching the second loop has a couple of conditions aside from “clear the first loop” (granted, if you’re trying the game for the first time I doubt you’ll need to worry about that anyways), and the true last boss is named “Hibachi” (he reappears throughout the series, in various forms). 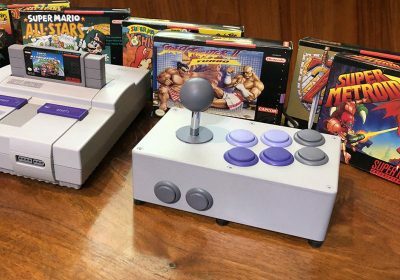 I also probably need to update those Saturn and PS1 articles, as they’ve caused a bit of consternation back at the forum, heh. In any event, DDP is a classic: hope you enjoy it! I love dodonpachi and I love dodonpachi daioujou even More!! But stil The dodonpachi series is EPIC! I am only just recently getting into the shmup genre. I’ve only played about 10 total. I know some don’t consider Gunstar Heroes a shmup and I understand that. But honestly that game re-booted my interest in shmups. So far the best I’ve played ar Radiant Silvergun, Ikaruga, and R-Type Final. And have bought and downloaded DoDonPachi Ressurection on 360.